The thing about sewing isn’t the patterns. 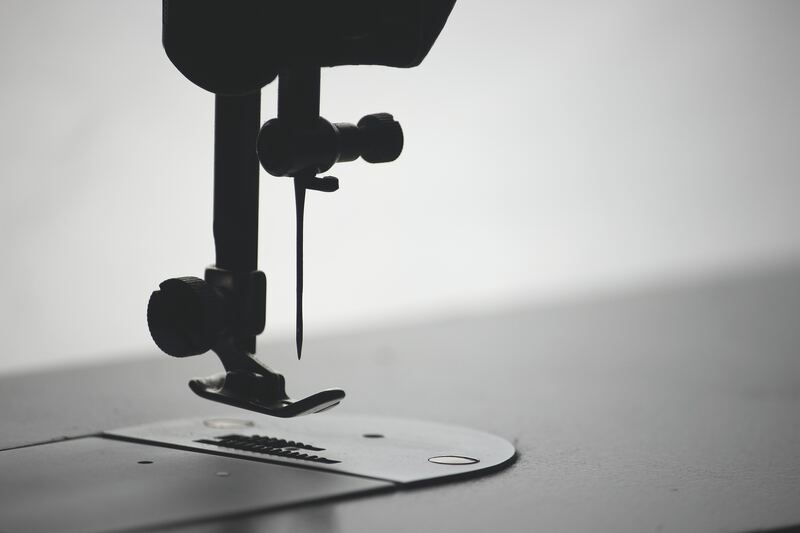 It isn’t the precise cutting, the pins that hold the fabric pieces together, or even the stitches. It’s all about the bobbin. That little spool of thread that sits underneath the needle and somehow makes the stitches possible. I say “somehow,” since I’ve never spent the time required to either load a bobbin or to make one work. I know from watching others that sewing requires a ton of time loading the bobbin, untangling the bobbin, and generally managing the health and welfare of that hidden spool of thread. A healthy bobbin is the key to any successful sewing project. Watch a good painter and you may notice that they spend far more time preparing and sanding the surfaces to be painted, masking off the unpainted areas, mixing the paint, and then cleaning up the area after painting…than they spend painting. The same is true for a musician. Watch a musician perform. It’s easy to forget how much time was spent learning to play their instrument, selecting or creating material, rehearsing, and then setting up for the show. As an audience member, we get to see the final product and that’s all that matters. How about your favorite mechanic? It’s easy to forget or ignore all the preparation, expertise, and hard work that goes into creating just about any product, any service, and any organization that we value. We allow most of it to be hidden from our consideration. At the same time, we’re disappointed when others forget or don’t appreciate all the hard work and preparation we’ve put into being the best “fill-in-the-blank” that we want to be. We wonder why our contributions, our dedication, and our work aren’t appreciated, and yet we’re probably unwittingly doing the same thing to other people. Each of us is a bobbin for someone. A hidden key to happiness and success for someone else, whether we realize it or not. Maybe not today, but someday. We’ve prepared, we’ve practiced, we’ve toiled in silence. We’ve cared for ourselves, knowing without fully understanding that we make things possible, and maybe even tolerable for others. Our efforts, our dedication, our emotional commitment may seem invisible, but they matter. They are important. It’s time to give that little bobbin some attention. This entry was posted in Appreciation, Attention, Attitude, Commitment, Courage, Encouragement, Excellence, Gratitude, Perspective, Sharing, Simplicity, Success, Writing and tagged Bobbins, Sewing on April 19, 2018 by Bob Dailey.